It's been 15 years, but Susan Blumberg-Kason still remembers vividly the sleepless nights after her now-ex-husband, Cai Jun, first threatened to take their infant son Jack back to China. Blumberg-Kason, an American, first met Cai in Hong Kong while both were attending graduate school. After a whirlwind courtship, the two married in Cai's hometown in Hubei Province, and several years later moved to California to settle down. By that time, though, the cracks in their marriage had already started to show; in addition to cultural clashes, Cai revealed himself to be abusive. When, after giving birth to their first and only child, he began making noises about sending him to live with his parents, Blumberg-Kason became terrified that she might lose Jack forever. And so she began divorce proceedings, ultimately escaping the marriage and winning full custody of Jack. Now a writer, Blumberg-Kason chronicles the ordeal in her 2014 memoir Good Chinese Wife: A Love Affair with China Gone Wrong, and says that, since then, among the most passionate responses she's received are from other people dealing with international custody disputes. 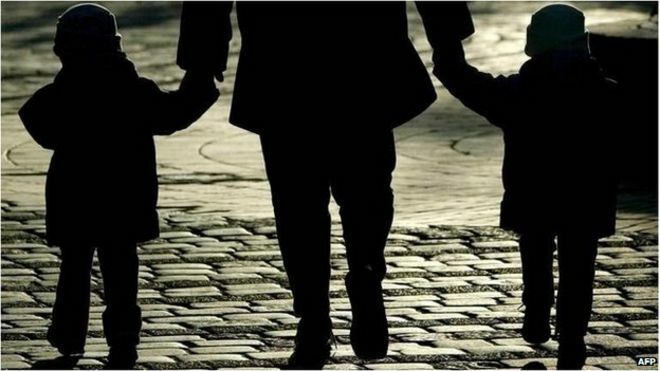 While custody disputes are never pretty, international couples in which one member is Chinese present an especially tricky case - because China hasn't signed the Hague Convention on the Civil Aspects of International Child Abduction, a multilateral treaty that allows for the expeditious recovery of abducted children, there remains little legal recourse when a child is carried off. It's not as rare a situation as you might think. According to 2014 statistics reported by iRead Weekly in August 2015, China is now home to 47,000 cross-national marriages, which in turn are showing an increasing rate of divorce. "Since China hasn't signed the Hague Convention, which protects parents from losing their children to international abduction, foreign parents have no rights to ask for the return of their children if their spouse takes the child to China," Blumberg-Kason said. Before the Hague Convention, which was signed in 1980 and put into force in 1983, parental kidnapping was a poorly defined concept, with authorities referring to it variously as "legal kidnapping" and "custodial interference." In addition to providing a name for this phenomenon - international child abduction - the treaty drew up guidelines for what constituted violations of custodial rights and provided mechanisms by which children could be returned home, which is defined as the country of "habitual residence." Abduction, meanwhile, is defined as a parent without sole custody taking their child to another country and refusing to return the child or let the other parent visit. To date, 94 countries and regions have joined the convention. The rub, of course, is that both countries involved must be signatories of the convention in order for it to work. The convention depends on the establishment of central authorities in each signatory country that communicate with one another and with domestic courts to facilitate the return of abducted children to their home countries. Without that, victims of abductions can find themselves dead in the water. According to Jeremy D. Morley, a New York-based family lawyer and author of The Hague Abduction Convention: Practical Issues and Procedures for the Family Lawyer, this is one reason which makes China an inviting destination for international childhood abduction. "There is often a legal vacuum that encourages one parent to take children away from the other, and to deprive the children of access to the other parent," Morley says. "It not only hurts foreign parents [if the Chinese partner takes the child to China], it also hurts Chinese parents living in China because if the other parent takes their child to a foreign country from China, the courts in that foreign country are unable to order the child's return to China under the terms of the convention." Parents' only recourse in situations like this is domestic courts. Beijing-based family lawyer Li Peixuan, who's been dealing with international divorce cases, many involving custody, for 15 years, recalls one case involving a Chinese woman, Zhang Ya, her British ex-husband Matthew and their son, Rick (all pseudonyms). After divorcing in 2009, Zhang moved to Malaysia for two years to work while Matthew remained in Beijing, but the two established an agreement by which Rick would stay with his mother for the first year and then return to Beijing to live with Matthew for the second. When the time came, however, Zhang refused to let Rick return, and Matthew decided to file a lawsuit against her for international child abduction. "As China is not a signatory of the Hague Convention, Matthew would have faced a lot of challenges in terms of procedures and execution," said Li, who represented Zhang. "This is the kind of case that could have dragged on for years, even until Rick was grown up." In the end, Matthew and Zhang were able to avoid litigation by making a new compromise, under which Rick would remain in Malaysia, but Matthew could visit and bring him back for holidays. According to Li, the other major complication is the fact that custody rights are defined differently in China than they are in other countries. In China, joint custody effectively doesn't exist; instead one parent is awarded sole custody, which not only means that the child lives with them, but that they have the right to make all important decisions related to the child's well-being. By contrast, in most Western countries, even if one parent is awarded sole custody, he or she must still consult the other parent when it comes to major decisions related to the child. Cultural differences may not only have a bearing on the success or failure of a marriage - they can affect the outcome of custody cases as well. Li believes that this was key in the escalating tensions between Zhang and Matthew. While Zhang wanted to negotiate the problem, Matthew immediately opted for legal action, hiring three lawyers and informing the British Embassy of the situation. "This kind of cultural difference between Chinese and Britons was one of the major reasons for their dispute," Li said. "In China, there's much more of a tradition of solving things through negotiation before resorting to legal action, while Britons hold firmly to the importance of contracts." Blumberg-Kason agrees that many disputes in international divorces arise from cultural differences. This was a source of conflict in her own marriage - Cai wanted to send their son back to his hometown to live with his parents, an idea that Blumberg-Kason couldn't bear. "This isn't an American custom," she said. "Americans live with their children and don't send their children away to live with their grandparents. I felt if that happened to me, I would miss my son very much." According to Yang Xiaolin, a lawyer who specializes in family law and a partner at Beijing Yuecheng Law Firm, one of the biggest reasons why China hasn't signed the Hague Convention is that the legal terms required to enforce it are not sufficiently defined in Chinese law. "In our judicial system, there are no clear laws governing joint custody," Yang says. "We focus more on custody by one parent. So there is a conflict between joint and sole custody. If we sign the convention, it will conflict with the current laws. So first we need to build a system and regulations for joint custody." He said that he hopes China will eventually sign the convention, but added that officials from the Ministry of Foreign Affairs recently said that such a move is not imminent. So where does that leave mixed Chinese-foreign ex-couples? Li suggests that both sides should start out by educating themselves on the laws of both their countries. Which laws apply, Li says, depends on the child's nationality. "If your child has Chinese nationality, you should go to Chinese courts for a lawsuit, but if he or she is of foreign nationality, you should go to the court of that country, the laws of which may be quite different," she said. Li added that foreigners shouldn't be afraid of any bias against them in Chinese courts; the courts' only "bias" is toward protecting the custodial rights of women. With very young children, for example, mothers almost always get custody. They should also, she said, be prepared for the difficulties involved with enforcing any judgment. One example is the widely publicized divorce case of American Kim Lee from her ex-husband Li Yang, the founder of famed English-teaching method "Crazy English." After a very public divorce following allegations of physical abuse, Lee was awarded full custody of the couple's three daughters; Li, meanwhile was ordered to pay 100,000 yuan ($15,350) of alimony for each child every year until they turn 18. But after giving them an initial 150,000 yuan in 2013, Li stopped paying, according to a Beijing News report in 2014. Likewise, Blumberg-Kason says that a law professor in California once told her that even countries that have signed the Hague Convention often don't comply with it, and cases can take 10-15 years to resolve, by which time the children are already teenagers. "Mutual respect of differences and negotiation are the best way." She said she knows other divorced international couples in which one spouse lives in China. The kids live overseas with one parent during the school year and go to China to see the other parent in the summers. "It works because the former spouses respect one another, maintain a good relationship, and put their children first," Blumberg-Kason said. "If people can get to that point, it can work out very well."